My daughter is a junior in high school and is trying to figure out the path she wants to take in life. To help her out I took her to visit with an amazing friend of mine. She runs multiple, successful companies. She serves on multiple boards. He has an incredible family. She serves extensively in our church. I could go on and on, but lets just say if I’d like my daughter to get some life advice, she’s a great one to be getting it from. As I sat listening to the two of them talk, my friend shared stories, helped make plans and gave some great advice. But there was one part of the conversation that I’ve been thinking a lot about since that meeting. They had been taking about some specific universities and she had told my daughter who her contacts were at these universities. My daughter made a comment about how she seemed to know everybody. This was the most valuable lesson my daughter could learn in this meeting. My friend expressed to my daughter the importance of who you know. Does it really matter who you know? Does it really matter how big or connected your network is? Really, how valuable is your network? As I’ve said in other posts, people are going to do business (or whatever you are relating this to) with people they know, like and trust. Products and services obviously all come into play but on an even playing field, more often than not the decision maker is going to go with the person or company she knows, likes and trusts. I think back to some of my major business transactions and in every case I had a relationship with the decision maker or the person who sent the referral. Your ability to build the proper network around you will determine your success in everything that you do. In Thou Shall Prosper: Ten Commandments for Making Money, Rabbi Daniel Lapin talks a great deal about the importance of building your network. He advises us to “build genuine and sincere relationships with as many people as possible with no thought of reward.” This is the key in building your network. Be genuine. Build Friendships. Don’t build relationships based on wanting to know what that person can do to help you. Look for opportunities to help others in your network without expecting anything in return. As you build and foster relationships you will discover opportunities to serve others and when the time comes that you are in need, you will have someone within your network that you can turn to. Is there someone right now that you want to connect to? Figure out how you can help them with something they need done. Tia and her team had a great season of basketball in 2014/2015. Tia was the point guard of the team and is looking forward to entering high school next year to play at the next level. 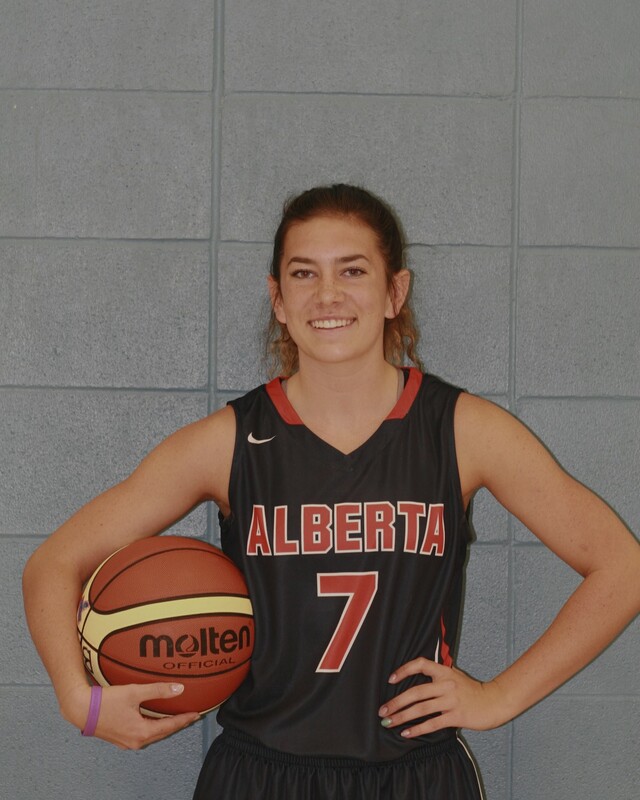 This summer she is playing for Basketball Alberta again on the U16 Girls team. They will be playing in the Seattle Summer Showcase from July 10-12, 2015 and then will be headed north to Langley BC for some exhibition games. After these games their next big event is the Western Canadian Summer Games in Wood Buffalo AB that begin on August 7. This is a highlight video of Tia with her Grade 9 Cardston Cougar Team.